At least Pikachu looks cool. It’s officially been a year since Pokémon GO started an absolute frenzy, So, it’s a little disappointing that the way developer Niantic is celebrating the augmented reality mobile game’s first birthday is kind of lame. 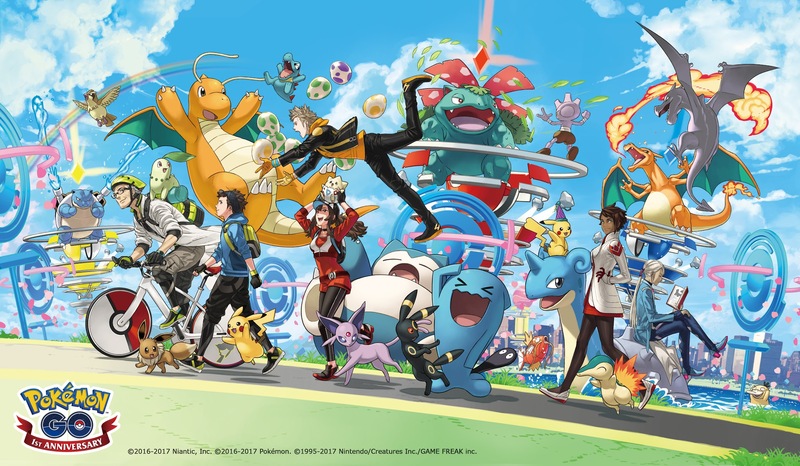 The official anniversary date comes only a few weeks after a massive update on June 19, which featured an overhaul of the Gym system and the gradual rolling out of a new Raid mechanic, so perhaps Pokémon GO can be forgiven for not pulling out all the stops to celebrate year one so soon after. According to the official Pokémon GO blog, in the past year players have caught 125 billion Pokémon, which is a pretty astounding achievement. On the exact anniversary of the game’s release, do gamers get the much-anticipated Legendary Pokémon? Do they get trading or more direct player-versus-player mechanics that have been clamored for since the beginning? 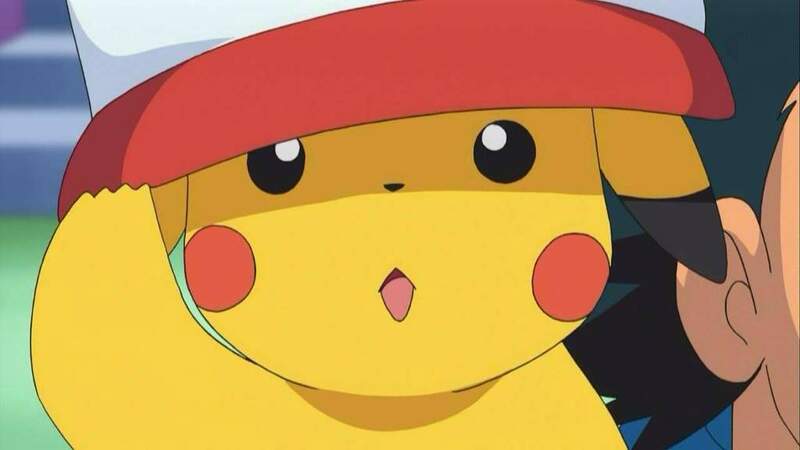 Pikachu wearing Ash's hat from the Pokémon anime series. This will be the third hat-wearing Pikachu variant to be included in Pokémon GO. The first was the “Festive Pikachu” featured during the holiday season that evolved into a festive-AF Raichu. There was also a party hat-wearing Pikachu to celebrate Pokemon Day back in February. There’s no word on whether or not this new hat carries over into the Raichu version of Ash Hat Pikachu. The badassness of this anniversary poster implies that cool things are to come. 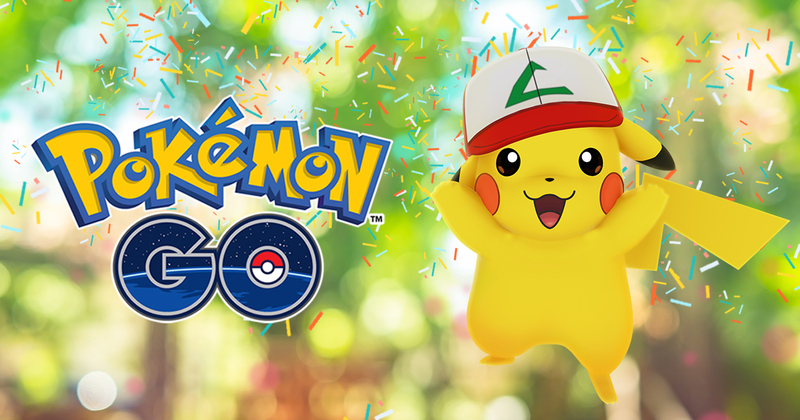 The official Pokémon GO blog urges fans to “stay tuned for even more exciting news over the coming weeks” as IRL events occur around the world. For now, the best thing you can do to celebrate one year of wandering aimlessly to hatch Pokémon Eggs is to find yourself Pikachu with a fun hat on.